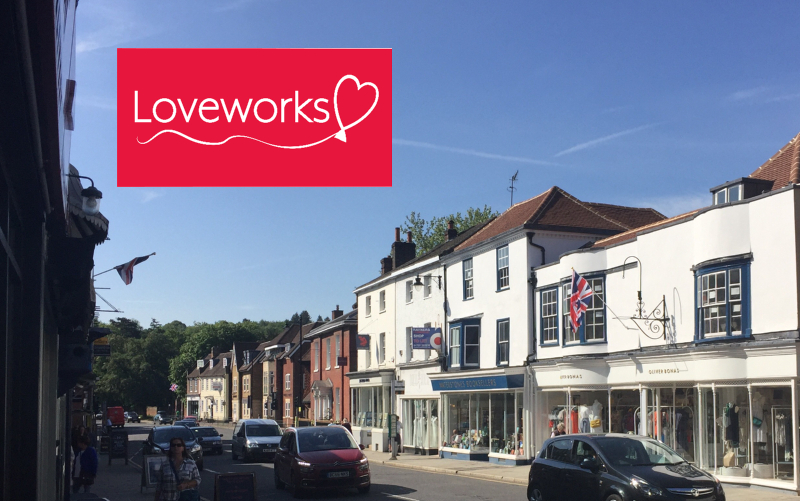 Here at Loveworks, we wish Harry & Meghan a very special wedding day and have attached a photo taken from our offices in Bell Street – isn’t it lovely to finally see the sun?! As Reigate prepares itself for a Royal Wedding, the community will gather to mark Harry & Meghan’s special day with various events across Reigate, Redhill and Merstham. From street parties and events in the borough parks’ to live coverage in local public houses – a royal wedding certainly does bring people and communities closer together. At Loveworks, we would like to thank the Reigate Business Guild for the work they do in our community. By encouraging people who live and work to support and celebrate all things local, through to special events to mark key dates in the calendar like St George’s Day, Christmas and now the royal wedding all contribute toward building a sense of spirit which is wonderful to see. Our food banks and community café are supported by Fareshare – a national charity working with supermarkets to recover fresh food near to use by dates. Our Way2Go resilience based coaching course has helped many young adults to grow in confidence to secure better futures including further education or work. Our Cuppa Tea Club has supported in excess of 200+ older people access social opportunities including day trips, lectures and a special choral twilight concert. Please give a small but regular donation of £6 per month to help and support a local charity to be able to continue services for the next 10 years. Thank you.